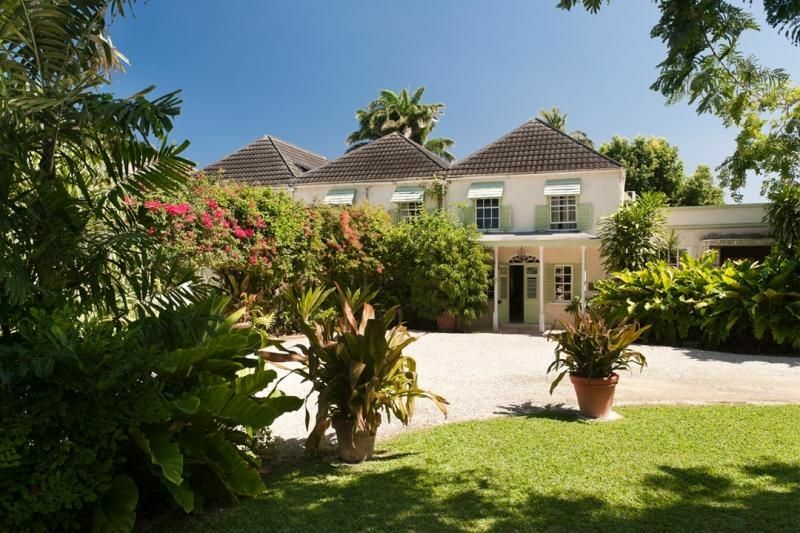 Leamington House is a colonial-style Great House set in the exclusive Leamington Estate. Extended by the famous architect, Oliver Messel, the house was for many years the home of the American Ambassador. It was recently extended and modernised by the famed architect, Oliver Messel, to provide a very spacious reception/living area. This now leads to a covered patio with seating and dining areas, a swimming pool and a beautiful, tropical walled garden. A gate just a short walk through the garden opens onto the beach. This beautiful Barbados Villa for rent boasts four double, air-conditioned bedrooms on the first floor, each with private bathrooms. A fifth bedroom and bathroom are located on the ground floor. In addition to the fore-mentioned reception areas, the ground floor is host to a TV room and Wi-Fi is available throughout. This fully furnished holiday villa is let complete and fully staffed.